Blog — Kennels of St. Francis, Inc.
Kennels of St. Francis, Inc.
As your dog’s caretakers while you are away, we always hope and promote owner’s to raise their puppy to be as well rounded as possible. That shyness, separation anxiety, neediness, reactivity…well, that’s what you want to prevent by putting in the effort to 100 days of exposure for your puppy for the first year. The first 16 weeks of a puppies life is a huge way to introduce a number of things to a puppy so he can handle more as an adult. 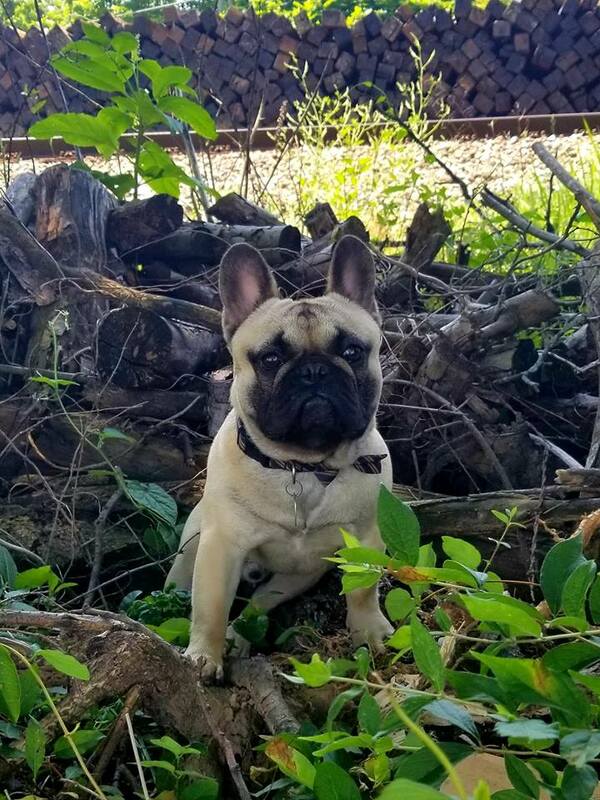 Providing your puppy is healthy and is on a regular vaccine schedule from your vet, getting puppy out to see streams, logs, bridges and all sorts of nature’s inanimate objects is so much fun for your puppy. The confidence you are instilling in your puppy by exposing him to things that can’t and won’t hurt him is like money in the bank and he will thrive. Each day of your 100 day project, expose him to something a little different like an umbrella, the different side of a log, walking down the creek and over, down into a ditch and back up, a field, etc. and he will learn to follow your direction from the beginning. You are providing a good start in taking the reins instead of your dog making rules you don’t want, later on. People and other dogs OR people with dogs can put your puppy in harm’s way without intent. First and foremost, I AM MY PUPPY’S ADVOCATE! My puppy is dependent on me for his safety and well-being. I don’t go out of my way to bring my puppy up to another dog. I don’t often allow people I do not know to bring their dog up to mine because the outcome may teach my puppy that I am a poor judge of character. I personally want my dog to grow up without baggage so I just go on about my way without nose to nose meetings. I also don’t mind if they meet another person but don’t encourage people to touch my puppy or discourage people from an occasional encounter. I just want my puppy to be around it all without being the center of attention so I don’t have to train him stop trying to engage strangers and strange dogs because that was the way he was raised and now he wants to jump up and visit everyone we come across. Manners can be encouraged early on without much in the way of corrections! My in town and park endeavors provide me with a great variety of differences each day, these differences include people of different races, people in a variety of attire whether rainy, snowy, business, athletic or other, and with passing people with disabilities who may be with a walker or wheelchair, and all those important smells that puppy is taking in but we just continue to move right along, all passing them along the way no different than I would pass a tree or fire hydrant on the block. You and your pup are a team, encourage not coddle or force….reduce drama! And By The Way, after your FIRST 100 days of showing your puppy every variable you can expire to, start over and do it again for the next 100 days! A fat dog means you aren’t getting enough exercise. Cheers and enjoy each day to its fullest.